Look. 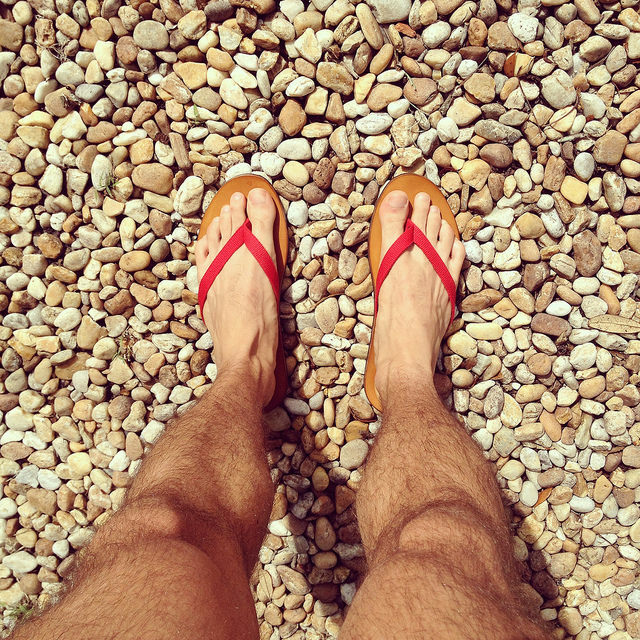 The flip flop is a staple of warm weather living, no matter how in love we fall with boots or sneakers. Thus, it deserves at least equal attention to our brogues and oxfords. I grew up with my feet in the breeze, so the idea of sequestering them inside socks for all occasions just reeks. Toes need to see the daylight! Online shopping never gets old. 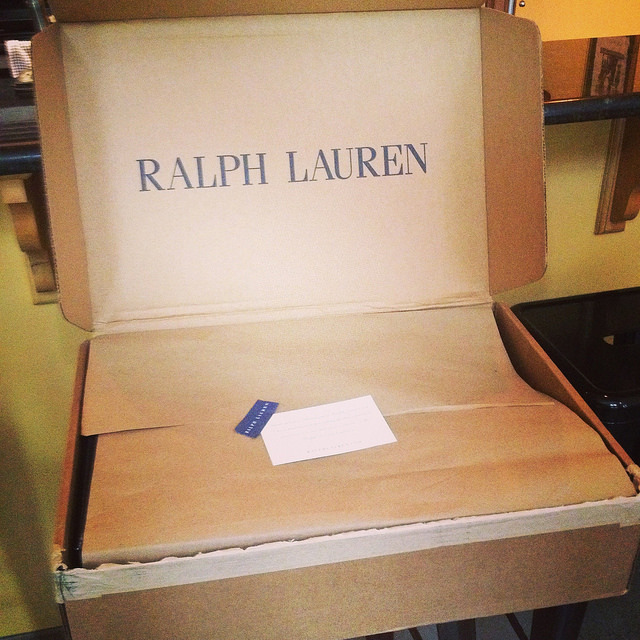 Ralph Lauren has a nice presentation! Around Tampa, you’ll see a lot of Rainbow leather thongs, well worn from the halls of junior high to UT’s urban campus. Else, there is no prevailing trend. Men wear blocky, orthopedic models with a lot of support. Females tend toward inexpensive, throwaway pairs that are thin and dainty. J.Crew, Old Navy, and many more forgettable brands made in China or Vietnam sell the typical look. Back at the leading end of Spring-Summer ’14, I began pinning open-toed selections from Italy and the like, and wrote a post, hoping I could expand some horizons. 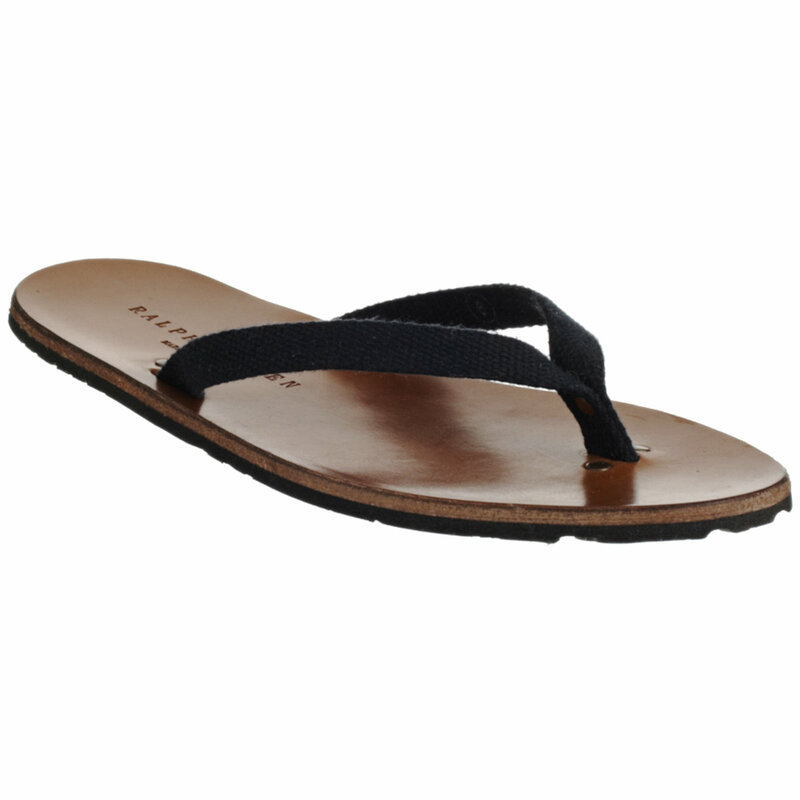 I put the Paxhill thong sandal (flip flop) from Ralph Lauren Collection on my wishlist. It was simple and elegant, made in Spain. And done in bright colors, some with black soles and others with brown. Lauren and his maze of sub-brands are loosely cohesive, starting at one extreme with Denim & Supply, the most accessible and widely available line carrying the RL cachet. “Polo” has always been mid-range, though prices for its latest releases signal a move upmarket. RLX is the sport-lux brand, looking appropriate solely for the ski slopes. The “Collection” moniker seems to apply mostly to accessories, whereas ready-to-wear is broken down further, above Polo, into Black and Purple Label lines. Navigating RalphLauren.com is a hoot, if you’re trying to stick within a price range, or, if you just want to see everything that is available of a certain genre. I know in places like Manhattan, Collection and the higher-end wares are physically separated from Polo, the home collection, and lower-end womenswear like “Lauren Ralph Lauren” and “RALPH Ralph Lauren.” Those offshoots are often sold only through department stores. The brand and its figurehead have never been in my top ten. The quality seems to vary, even within lines, and deep discounting at season’s end dampens the willingness to pay full price. Plus, and I may be the only person who cares, but $400 for a sweater made in China? No. I love a mix of black and brown! Nonetheless, I remain open to what, from a purely aesthetic perspective, I like, and to a good deal. 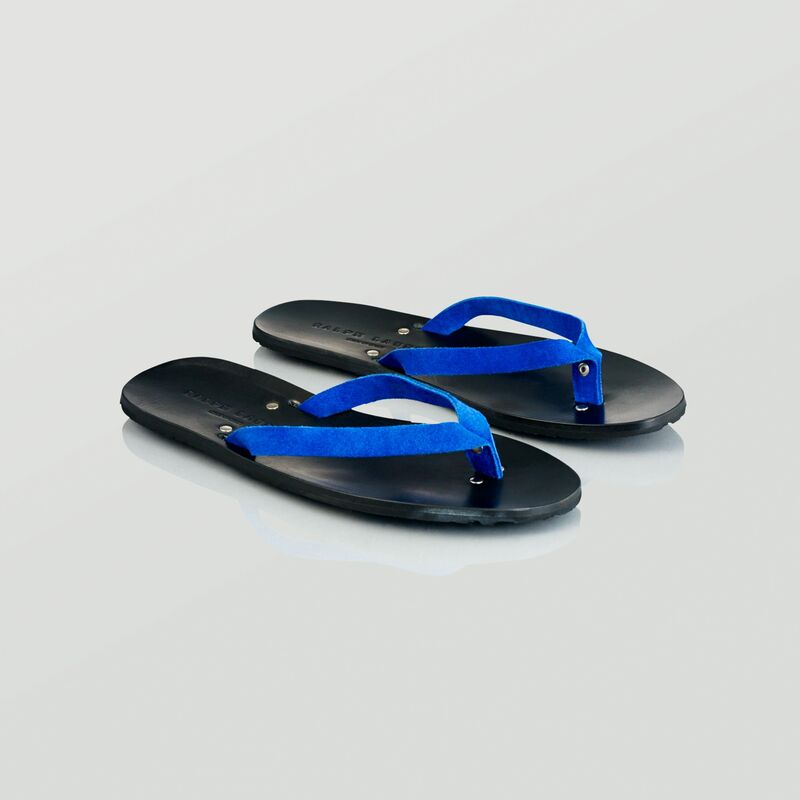 The Paxhill sandal went on sale once, then again, and most recently, for less than half its original price (185$). With free shipping and returns, I had to act. I dunno about you, but there’s something supremely delightful about a perfect play on a classic. Nothing too reaching, just the right color, right proportions, and of course, a deal realized out of virtuous patience. These say “Banana Republic, when it was still safari-wear, not office separates.” A.k.a. mid-90s chic. They’re polished without being pretentious. And they’re different. I’m a sucker for uniqueness. I debated writing a post about these shoes at all. How vapid and self-serving it will be! Still, their brilliance deserves airing. Even if you all go out and buy yourselves a pair, and I’ll no longer be so unique. I’m willing to take that risk. Because I love you guys. The RL website still has both black and brown formats for sale. DSW has the olive canvas version. Keep an eye out, in life and in shopping, for these types of outliers. They’ll surprise you, and give you a boost even in their simplicity.